In the event travel industry we tend to take our terminology for granted and assume that since we know what something means that everyone knows what it means. I’m sure the same can be said for most business industries. We all have abbreviations, sayings, and varying terms of reference that make total sense to us but not to anyone around us. I’ve found this is definitely the case in the travel world with the term “transfer” so I’m going to explain what a transfer is, how they work, and what the differences are of each type, so you’ll know what to expect when you see or hear that word used. You’ll normally hear this from your travel planner when they tell you that your travel includes (or does not include) transfers. The “transfer” they’re referring to means that someone is (or is not) going to pick you up from the airport once you reach your intended destination, take you to your hotel or resort, and then return you to the airport to catch your flight home at the end of your retreat or corporate event. A transfer can be set up by your event and travel planner, your hotel or resort, or yourself. Oftentimes when you purchase a “packaged” vacation that includes an all-inclusive resort with airfare, your transfer will be included but you need to make sure it states this when you pay for your travel. If not, you may have your travel planner book this and set it up for you or you will be responsible for doing so. What kind of vehicle will I be picked up in? If you want to have your group picked up in a specific vehicle type you will need to order this specific vehicle type. You can request a variety of transportation options and there is typically an specific fee structure associated with each type. For example, If you’d prefer to have each member of your group greeted at the airport by a Lincoln Navigator with leather seats, and one is available in your destination, you can request this (there will be an additional fee, of course) and one can be arranged for you. You can also make a request for large passenger vehicles like shuttle buses, if you’re arriving with and traveling with a large group of people that wants to stay together. This is an excellent option for corporate retreat groups, corporate event groups, and larger travel groups where many people will be arriving at the destination airport at the same time. Transfer – This could mean any vehicle type picking up a guest at a location and taking them to their destination. A typical transfer could have more than 1 guest picked up at a time. For example, you’ve booked a trip that includes “transfers”. The shuttle driver arrives at the airport, picks up you and your traveling companion and your luggage from one area of the airport, drives to the other end of the airport and picks up 3 more guests and their luggage, leaves the airport and stops at the destination of each guest until all guests have been delivered to their destination. You may be lucky enough to be the closest and first person on the delivery schedule or unlucky enough to be the furthest and last person on the delivery schedule. You could be on the shuttle for 30 minutes or 1 hour and 30 minutes. You never know but you will eventually get to your location. Non-Stop Transfer – This is also sometimes referred to as direct transfers. A non-stop transfer means that once your shuttle driver picks you up from your arrival point you will go straight to your destination without stopping. Your shuttle driver may be carrying other passengers from your same pick up point. For example, the driver may pick up you, your traveling companion, and 2 other guests from the airport but all passengers will be going to the same location for drop off. This transfer type will get you to your destination a lot faster than a basic transfer, but you will likely be sharing the ride with others. Private Transfer – You and only you (and whatever travel companion(s) you choose) will be picked up by your shuttle driver and taken directly to your destination. A private transfer has the benefit of not having to share your shuttle with anyone else. This means your driver does not have to pick up any other passengers and doesn’t have to stop anywhere else on the way. You can enjoy this shuttle all alone or with the traveling companions you arrived with. This is the way we normally travel since we can get to our destination as quickly as possible without having to lose any time. One other added perk of the private transfer is that you can often ask your driver to stop on the way (if they’re not on a super tight schedule). We’ve stopped at Starbuck’s, OXXO, and even Wal-Mart on past vacations! If you do this, please be considerate of your shuttle driver’s time and remember to tip well! Luxury Transfer – A luxury transfer can vary by location and the fleet of the transportation company but can be anything from a stretch limo to that leather seated Lincoln Navigator we mentioned earlier. It basically means that you have the transportation all to yourselves and you will arrive at your destination in style. This is the perfect way to transport VIP’s, corporate clients, and incentive travel winners. Something else to consider – if you or your guests will be traveling with a large amount of gear like long fishing poles, golf bags, boxes of incentive gifts, or business equipment you should prepare for this in advance by requesting a larger shuttle or van since most smaller vehicles may not be able to accommodate all of these large pieces. Basic transfers are what you will typically see included in a “packaged vacation” but can vary greatly depending on the needs of your corporate group. If not included, this is typically your lowest cost option for transfers and range in price based on your destination and how far you are traveling from your initial pick up point. After that you will see a step up in price that normally goes in this order – direct tra-sfer, private transfer, luxury transfer and/or wheelchair transfer, then multi guest transfer options. This does not mean it will always follow this scale of pricing, but this will give you a good idea of the cost progression of each transfer type. 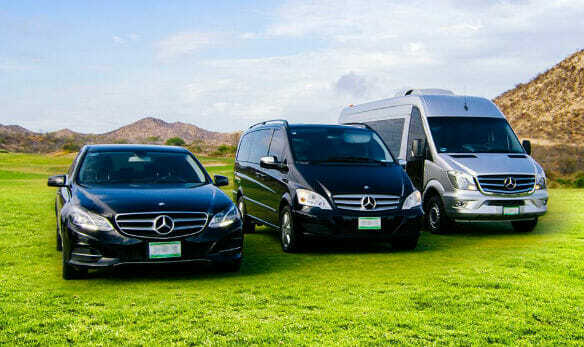 We’d love to arrange the transfers and travel for your upcoming corporate event or company retreat. Click here to email us now or call us at #512-955-1320.